By Noam Chomsky, Democracy Now! 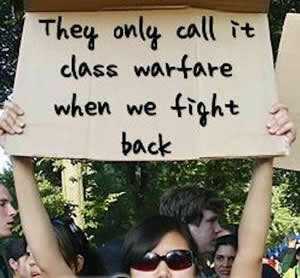 Noam Chomsky says the Occupy movement has helped rebuild class solidarity and communities of mutual support on a level unseen since the time of the Great Depression. "The Occupy movement spontaneously created something that doesn't really exist in the country: communities of mutual support, cooperation, open spaces for discussion ... just people doing things and helping each other," Chomsky says. "That's very much missing. There is a massive propaganda - it's been going on for a century, but picking up enormously - that you really shouldn't care about anyone else, you should just care about yourself. ... To rebuild [class solidarity], even if it's in small pieces of the society, can become very important, can change the conception of how a society ought to function." Chomsky also gives his assessment of President Obama, whom he says has attacked civil liberties in a way that has "gone beyond [George W.] Bush." A Listing of several upcoming Occupy meetings as well as a few which have just transpired. A listing of many occupy streams. Ambiguous UpSparkles From the Heart of the Park and other articles as well as videos all related to and reporting on the Protests on WallStreet. 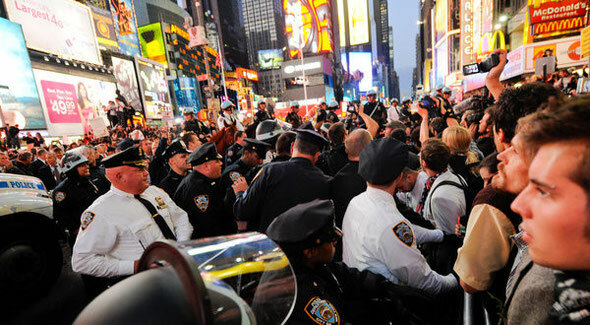 As day five comes to an end and we move into day six, #OccupyWallStreet has been a tremendous success. Despite the corporate mainstream media blackout, the movement is growing in significance and getting support from a very diverse range of people and organizations. Much respect to all the people who have set up camp in Liberty Park. Your leadership just sparked a legit movement in the USA. It’s About time! The 99% Movement has begun! It began as a simple little idea, just another blog among millions. The Occupy Wall Street protest was scheduled to begin on September 17, and launching We Are the 99 Percent on Tumblr seemed like a good way to promote it. Its creator had no clue that it would go viral and become a touchstone for a protest movement soon tospread nationwide.